Baby's First Christmas should be one that is magical and memorable for years to come. We've brought together our favorite selection of baby Christmas gifts that are both unique and fun. Whether you are looking for that perfect gift, or want something festive for that first Christmas picture or party, we have a little of everything. The perfect way to remember how small and precious your little one is! This kit comes with everything you need to make a cast of baby's hand as a cute keepsake ornament for the tree. Available from Pink Taffy Designs. We love this cute Santa baby onesie! The perfect way to keep your infant comfy and stylish. 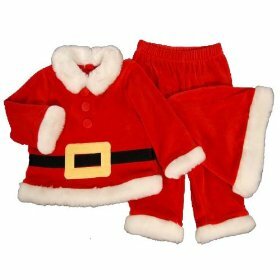 It has a soft tutu made from red chiffon and matching red rhinestones on the front that say, "Santa Baby". Want a memorable and cute first Christmas gift? These long johns are adorable! They have snap legs and a button hatchback opening that can be personalized with any message you would like. Available in a variety of colors. What can possibly be cuter than a baby Santa for a Christmas party or family pictures? This outfit will definitely steal the show! >Who says you have to sacrifice your favorite music when you have a baby? The Christmas Rock Lullabies take favorite rock songs and transform them into lullaby melodies both you and your baby will love! Want a cute Christmas outfit that can be worn all winter? 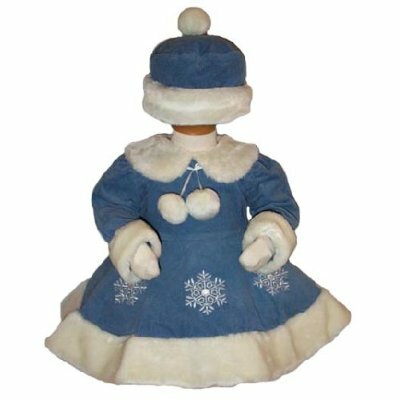 This adorable corduroy dress has embroidered snowflakes, fur accents and a pom pom tie. It also comes with white pants and a matching hat to keep baby warm. 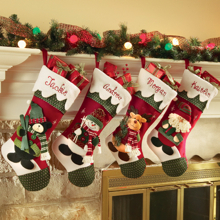 These beautiful 3D animal stockings are the perfect gift for a new family member. Personalize it with baby's name. Available in a moose, bear, Santa or snowman design. 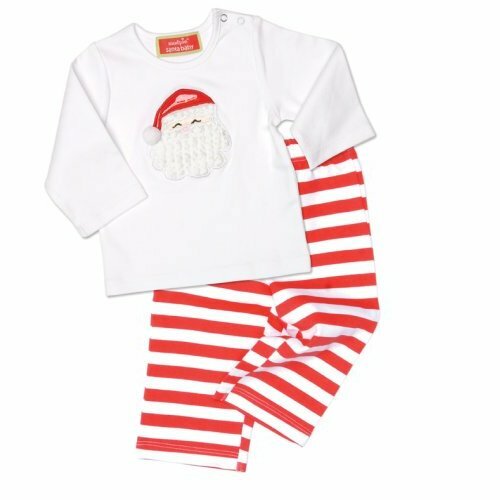 From candy cane stripes to a patent leather Santa hat and chenille beard...this outfit is adorable. Get the full details here. Get some great baby shower ideas. ...or check out our Top Ten Best Baby Gift List.